EAST OF DENVER. In Development. Writer/Director. 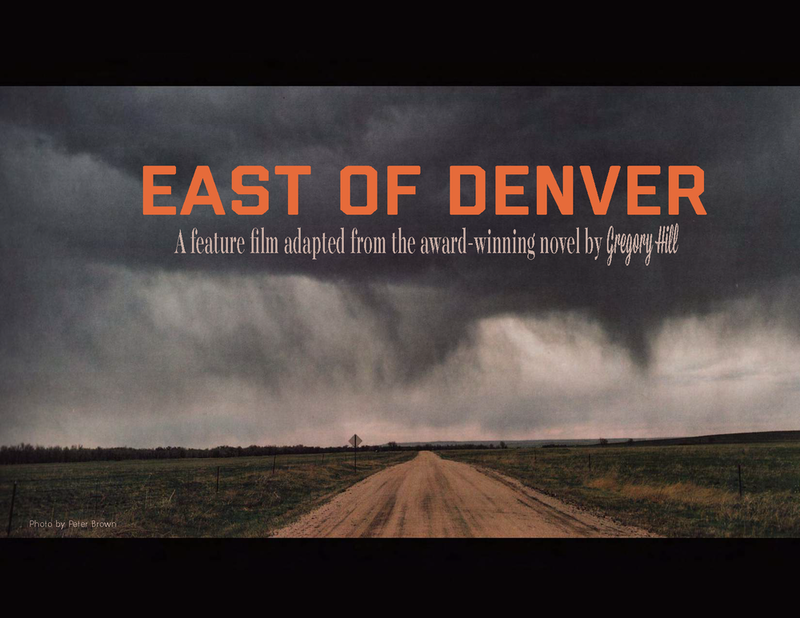 EAST OF DENVER is the first novel of award-winning author, Gregory Hill’s Strattford Trilogy. I wrote the screenplay adaptation and will direct my narrative debut about William Shakespeare who returns to his family homestead with the sole intention of burying his murdered cat. His day trip turns into a permanent vacation when he learns that his father, Emmett, has become senile and that the local bank, taking advantage of Emmett’s illness, is about to repossess the farm. Sounds like it’s time to get the old high-school gang back together, break into the bank, and then convince Emmett to play the safe-cracker. And try to dodge the bullets. East of Denver Mood Reel. World premier Sundance Film Festival 2012. IFP Emerging Narrative participant. Winner Nancy Malone award. NewFest Audience Favorite Award.